It’s Spring and that means the birds are singing and flowers are blooming as well as love. What better way to celebrate love than to fall in love. I bet everyone remembers their first crush. Am I right? I sure do! Spring is also the season for change. Most seniors in high school are either breaking up with their sweethearts because they are moving away for university or are finding out their crush is interested in them. So to celebrate blooming love, I decided to giveaway a paperback copy with a signed bookplate of Tammara Webber’s Easy. One winner, but depending on the number of entries I may pick two winners. The best part? It’s open international as long as The Book Depository ships to where you live (check here). 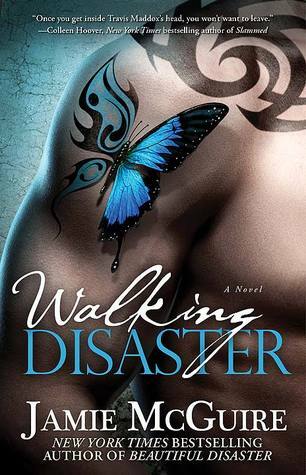 ETA: I just added Jamie McGuire’s Walking Disaster (paperback only). I’ll let winners pick which one they want. Either Easy or Walking Disaster. Don’t forget to check out the other participants. 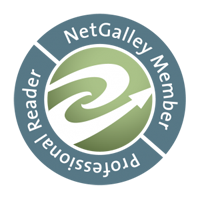 There are 52 blogs participating and that means more giveaway options for you! Favorite thing about falling in love is falling in love. The emotions and the feelings you develop getting close to another person learning all their little traits for yourself. It’s like opening a treasure chest. The best thing about falling in love is all the feelings you have when everything is new, and still having those feelings years in the future! Yes-having those feelings months / years down the road must be amazing and great to experience! The smile on the face and the bounce in the step must be very nice to experience. I’m with you in terms not having fallen in love. The best thing about falling in love is the butterflies that take up residence in your stomach. I still have those same butterflies for my husband! :big grin: Yay for butterflies! I have to say it’s really cool that you still get them with your husband! I hope one day I’m lucky enough to experience that. It’s hard to comment never having been in love.. In a relationship I love when it’s new and you’re discovering things about your partner. I know what you mean Kristy! I like the whole anticipation of getting to know someone, etc. My favorite thing about falling in love is how you feel when you are. You have this burning pain in your chest and sometimes you feel like you’re going to throw up. It’s sickening but yet so beautiful. You see the world very differently. You feel magnetically connected to the person you love. You have to be with them or you’ll feel incomplete. It’s amazing how different you see the world when you are happy. 🙂 Which one reason why I love to read because a writer can convey those feelings well especially in a romance and we get to experience falling in love all over again. I love the butterflies you get in your stomach and the feeling you get when you’re around the person you’re falling for! Yes, the butterflies! That seems to be just about everyone’s favorite thing. Oh yes! The anticipation of what’s to come always leaves me sick to my stomach. Eeek! Ah yes! Especially when they recognize you and you see the light in their eyes. I agree. It’s nice to know some else gets us. For me, my favorite thing is thinking of that person all the time, wanting to see them, be with them, and once you’re together enjoying that time with each other. That time, getting to know them is special, isn’t it? New memories, traditions, etc. The best thing about falling in love is feeling special. I agree. I like knowing someone gets me. All of the firsts that go with it and the new feelings! Thanks! It’s a first for everything regardless of how many relationships one has been. There’s always a “first” something. My favorite thing is the overwhelming feelings and the need to know everything about your new love. Yes! It’s almost like a new piece of layer is unearthed each time you learn something new. My favorite thing about falling in love is the beginning, when you’re just getting to know each other and finding out new things about each other. Especially if you both like something or dislike it. It’s nice to share those details. The best thing about falling in love… knowing there’s someone out there that has a piece of your heart, sharing that connection with someone special, and being part of something bigger than yourself. My favorite thing about falling in love is the high, giddy, invincible feeling you get. It’s like you can take on the world and that’s the best feeling ever. Ah the giddiness! Yes, I agree, but also it leaves me sick to my stomach. The best part of falling in love is having that connection with another person. Ah the grinning is the BEST part. I often feel as if one has a secret behind those grins. The best thing about falling in love is all the first. First flirt, first kiss, first everything. The first for everything is the BEST. No matter how many times you fall in / out there will be always be a “first”. For me, the best thing is that first moment when you feel hollow without that person, and you realize just how much they mean to you. It’s a great feeling to want and need someone! I’ve never been in love but I want to experience that connection with someone some day and being able to just be me with that person. The connecting with someone is a special process. Ah well I believe so long as two people are in love, you’ll be invincible forever! I love love! The idea that you have so much emotion and care for another human being that you are willing to do almost anything….it is great! It is freeing, warm, and just plain awesome. After 19 years of marriage (in May), I am still in love with my hubby. I love it! My high school sweetheart. I’m only 35 and I have a lot to learn, but I know I love love <3 !!! Awwww! You are so lucky to have found someone that early! You know, my parents met at 15/16 and have been together for 34 years. This December marks 35 years. The best part about falling in love is all butterfly’s from all the firsts… kiss, touch, smile and I love yous. The act it self is fun! The feeling of trusting someone and being comfortable with him. I agree! The whole point is getting to know someone and connecting with them. If you can’t trust them, etc there’s no point in falling in love. Everyone seems to love the butterflies. Yay for them! The anticipation of seeing each other again and of what’s to come. Ah yes to both! I love the anticipation. Insecure isn’t the best feeling, but it will all work itself out if it is meant to be. That’s a hard question. I don’t think I was ever really in love. So I don’t think I can answer but I’ve had a couple of crushes and all I could do is to think about them all the time which didn’t do any good, especially on my grades. I’m sure at that moment, everything in the world is right with a bounce in the step. That all your worries seem to fade away and time just passes by like normal. All the problems you thought were big seem meaningless. Thanks! Ah yes, one’s problems do seem small when in love. The idea that I’m important to someone. Too often, our kids, parents, friends, co-workers look past us or forget about us. A lover LOOKS at me and Sees me!! YES! It’s important to know someone sees us and loves us for all our faults and imperfections. What isn’t fabulous about falling in love?! The giddiness, the butterflies, I love all of it! Except the anxiety and insecurities, that part isn’t fun 🙂 But the rest makes it worth it. The best thing about falling in love is the newness of it all. The rush of feelings, the fluttering of butterflies, the seconds leading up to the first kiss….. I really like your response! The chance of it lasting for a lifetime. Oooh what a great way of looking at it! My favorite thing about falling in love is the nervousness I feel in the pit of my stomach, the overwhelming feeling that somebody is there for you. I agree re: someone out there for you! The feeling of being able to depend on someone. It’s finally spring and I can tell you, living in Upstate NY, that I’m happy to be enjoying some warmer weather. I can already tell I have an extra spring to my step. As far as love blooming, I’m sure with people feeling better, love will come. I love romance novels with my very favorites being “Outlander” by Diana Gabaldon, “Beautiful Disaster” by Jamie McGuire and the “Dark Lover” series by JR Ward. They’re all so good in different ways! Happy Spring and thanks for the giveaway! Happy Spring! Those of us in the Southwest have had a very mild winter, but I’m glad the east coast is thawing out. My favorite part of falling in love is the fluttery feeling and the constant state of euphoria. I love the butterflies in the stomach, and the chills that it gives you! 🙂 Thanks for your giveaway! Awww! Don’t worry it hasn’t happened to a lot of people, but when it does i’m sure it will be like the poets describe. My favorite part of falling in love is the act of falling in love itself. Do you get me? Haha. It’s like you don’t feel something for this person then one day you find yourself smiling (or even crying) for this one person. but I haven’t been into any relationships yet. 😀 Probably crushes. It just feels devastating once you know he doesn’t feel the same way for you. I understand. Oh crushes are heartbreaking! It’s like, “why not me?” Ugh! My favorite thing about falling in love is the being his center you know what I mean…. I mean when you wake up and he/she is the first thing that comes to mind or you hear a word and you smile because it makes you think of he/she or you get a text and you smile because it might only be a few words but it’s from him/her the “center” it may not last long but when you find him/her and you have your “center” moment you will remember it always as you guys/girls move through the rest of your lives together I have been married for almost 19 years and he can still to this day makes me remember being his “center” !!! Congrats on your 19 years! It’s great that you two are still so important to each other. My parents are going on 35 years in December and every weekend they have dates-out for breakfast, maybe see a film, then out to dinner. Someone recently asked them if they were newlyweds! I would say my favorite thing would be all the different emotions when close or far from your loved one. Ah yes! The first meeting is always special! I like the flirtatious first few months. Thanks! The best part of falling in love is finding your soulmate. Haven’t been lucky enough to fall in love with someone yet but I believe making your lover happy in return for just being able to see them smile must be the best part of falling in Love !! !